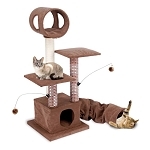 Not all cat furniture is created equal. 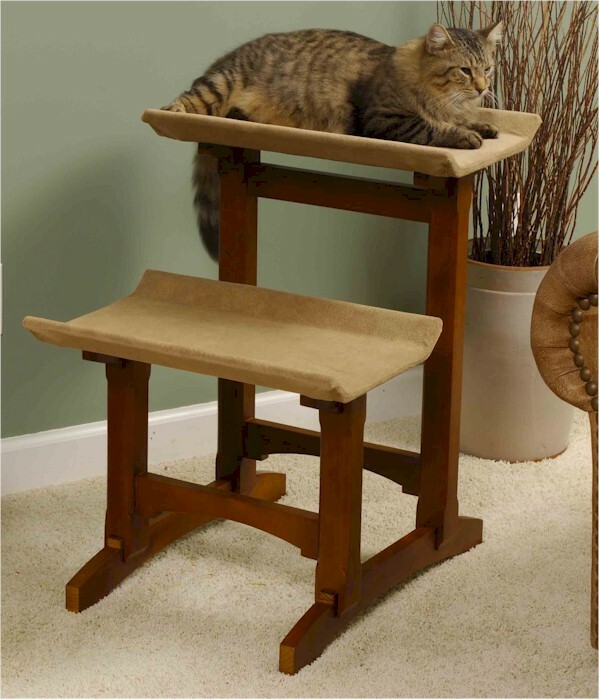 Mr. Herzher's Double Cat Seat starts with the idea of real furniture. Quality American Craftsman design, Sturdy solid wood construction, Rich and durable finish, and attractive, neutrally colored fabrics and inlays. 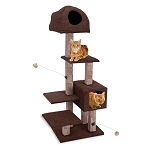 Add comfortable seating areas and scratching surfaces, so you know they’ll love it. Presents a clean, simple design to compliment any decor. 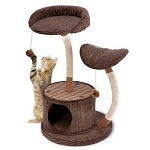 Lounging Area: 20" x 13"
Seat Heights: 17" and 27"
Shopped around for a cat post wide & long enough for my 15 lb cat, tall enough for my window sill, stood narrow enough to fit in a corner, and had legs to stand over a floor vent. This looks beautiful and fit the bill. Thank you.